David Lagalo of Saginaw shows off a 10-point buck he shot in Eaton County. On this first day of firearms hunting season, Michigan hunters and wildlife officials are closely watching for cases of Chronic Wasting Disease, a fatal neurological disorder that’s affecting deer herds in some parts of the Lansing area. Many Michigan cities and towns might seem a little more quiet today. That’s because thousands of people are expected to take part in the first day of firearms deer season. Deer hunting is a more than $2 billion industry in this state, with more than 600,000 licensed hunters. The crunch of crisp November leaves...the soundtrack to Michigan’s ritual of fall. Late afternoon in Meridian Township. The western sun is descending over a sliver of public land near the railroad tracks off Okemos Road. Tom Cannon knows this place well. Crossbow in hand, Cannon sets off for a favorite spot...a configuration of fallen tree limbs woven into a stout triangular enclosure. It’s a sturdy perch he’s used many times. At the enclosure, Cannon rests his crossbow against the branches. He slips on his camo gloves, and slips out of idle conversation. It’s time for business. And so begins the essence of deer hunting: patience. Tom Cannon and I don’t speak for more than an hour. My recorder is going the whole time, capturing only the occasional random chipmunk and several passing trains. Finally, as twilight fades, we give up our vigil, having never seen a single deer. But even if we had seen one, there’s a fair chance that it might not have been one Tom Cannon would have wanted anyway. 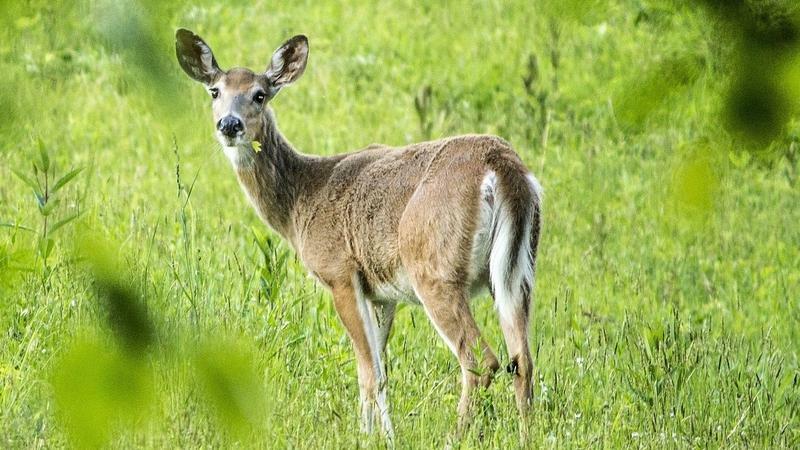 “The health of our local deer population doesn’t look so great,” says Meridian Township Senior Parks and Land Management Coordinator Jane Greenway. Meridian Township has run its own deer management program for the last seven years, giving approved bow hunters access to public land. Lately, Greenway says she’s hearing a lot of hunters talk about the poor condition of the herd. 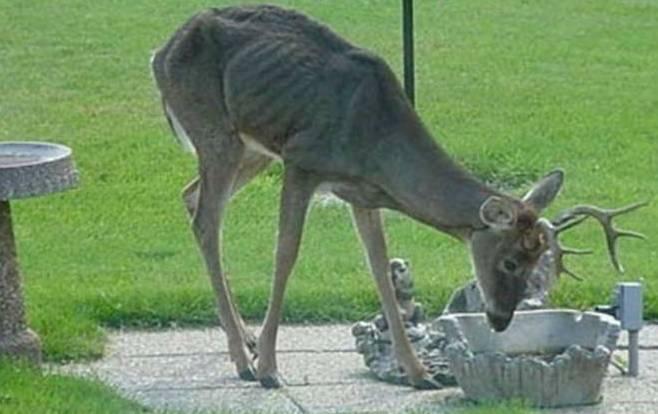 In May 2015, a doe in Ingham County was confirmed positive for chronic wasting disease. It’s a neurological disorder transmitted through bodily fluids. There’s no known health risk to humans, but it’s always fatal for deer. As a precaution, the Michigan Department of Natural Resources has established two so-called chronic wasting disease core areas. Deer harvested within those areas in seven counties – including Clinton, Eaton and Ingham – must be registered at a DNR check station before they can be processed for food. The threat of the disease has prompted at least one well-known Ingham County business, Merindorf Meats, to opt out of processing venison this season. But other operations are still in business. Whitetail Farms Market in Olivet is one of them. Owner Greg Saltzman says business is actually looking up in his area. Outside, David Lagalo pulls up with truck and trailer. 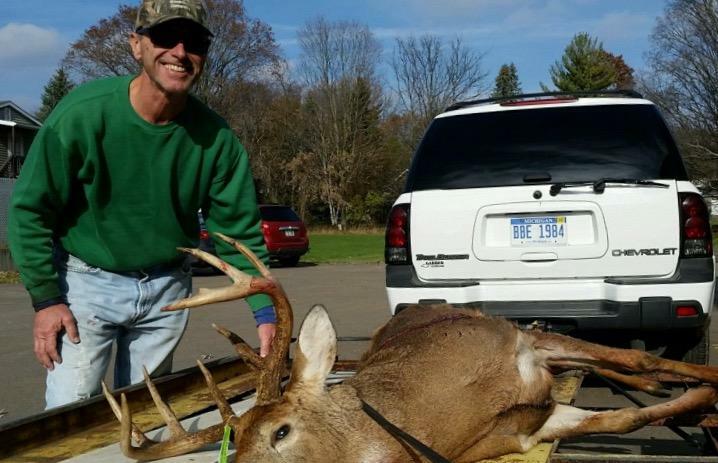 He’s come from Saginaw to hunt in Eaton County...and today’s prize has been worth the trip. “You’ve bagged a 10 point buck,” I observe. Legalo has heard about the problem with deer in other places. But he’s confident it will be handled properly. Hunting isn’t just important to the economy, he says. It’s a passion. This season, as officials continue to monitor deer for disease, the city of Lansing is taking a strong step. In December, the city and the DNR will work with expert sharpshooters who will remove a limited number of deer at night on public lands. The goal is to obtain a scientific sample to see if chronic wasting disease is spreading. If the deer are found to be clean, the Michigan Sportsmen Against Hunger will donate them to local food pantries. Wildlife regulators say a doe killed in Montcalm County during Michigan's youth deer hunting season probably had chronic wasting disease. Meridian Township is working with sharpshooters this week who’ll be hunting deer to try to control the spread of chronic wasting disease. Current State’s Kevin Lavery has the story.